Relax in one of the "Leading Spas of the World"
Discover amazing sunsets, warm climate, and memorable adventures at Maradiva Villas Resort & Spa! 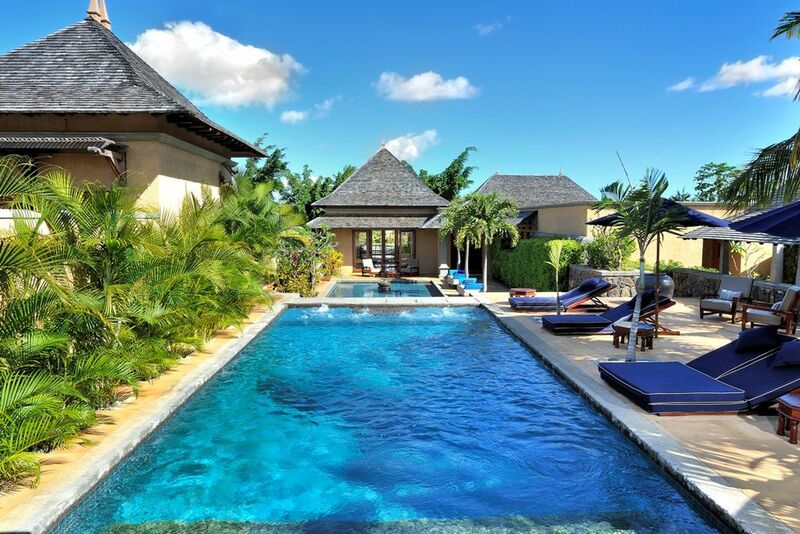 Belonging to the "Leading Small Hotels of the World", the luxurious resort is located on the west coast of Mauritius at Flic en Flac. 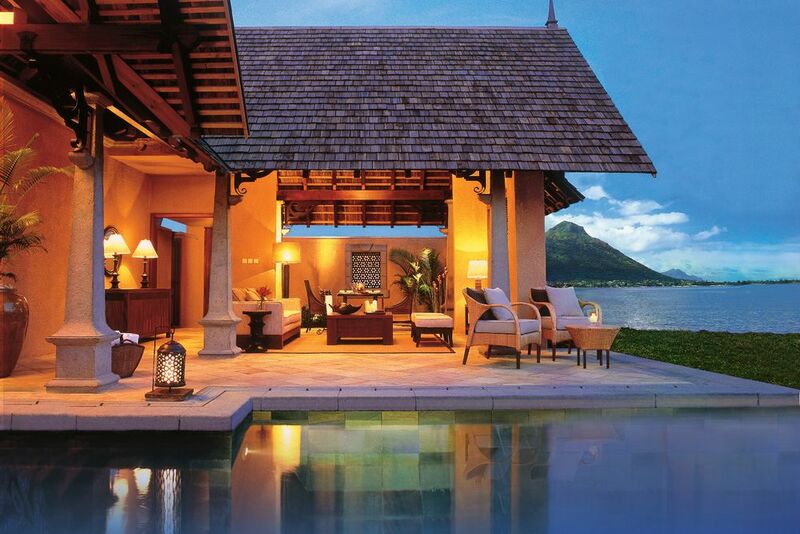 The enchanting hideaway invites you to experience adventure, peace and luxury with its stunning beachfront location, fantastic sunsets, and a magical view of the Le Morne mountain. 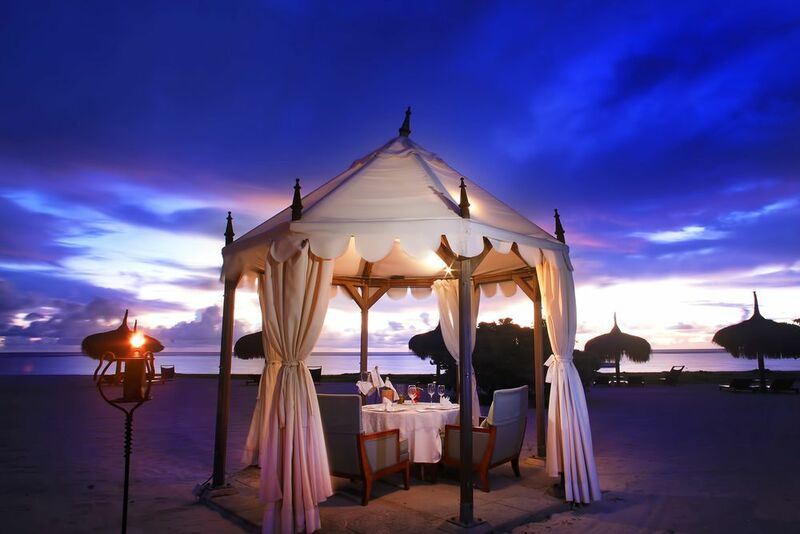 Surround yourself with the calm Indian Ocean that glitters in the bright sun all year round, and spectacular views of the Le Morne Mountain, followed by a long stretch of pristine beaches inviting you to relax. At Maradiva Villas Resort & Spa, it is all about quality, authenticity, and nature coming together to create the magic of Maradiva. The sparkling crystal in the turquoise waters of the *Tamarin Bay and Indian Ocean are steps from your villa’s door, inviting you to dive in and relax under the glistening sun. 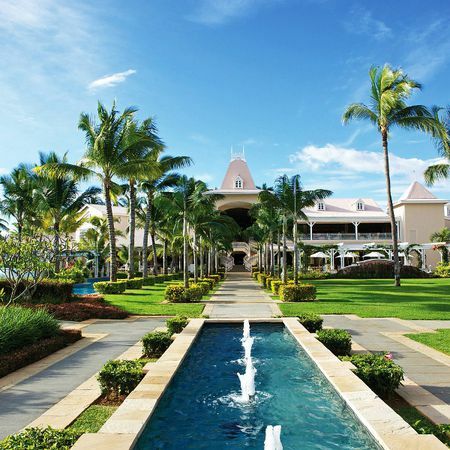 Contrasting colors, cultures and culinary experiences make the island a charming scene for a memorable holiday. Surrounding the white, pristine beaches are coral reef barriers waiting to be discovered! Mauritius is a central plateau dotted by lakes and extinct volcanic craters with a few uninhabited islets areas scattered around the main island. 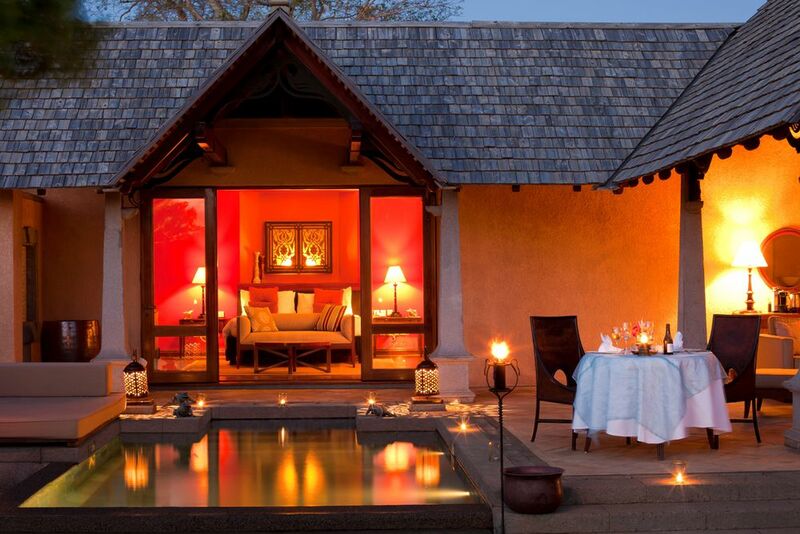 Mauritius invites you to explore the beauty and charm of the island. Swim in the clear, warm waters and discover the pristine sandy beaches that make all your tropical dreams come true. Your luxurious retreat is always paying close attention to detail, ensuring only the best experience at Maradiva Villas Resort. 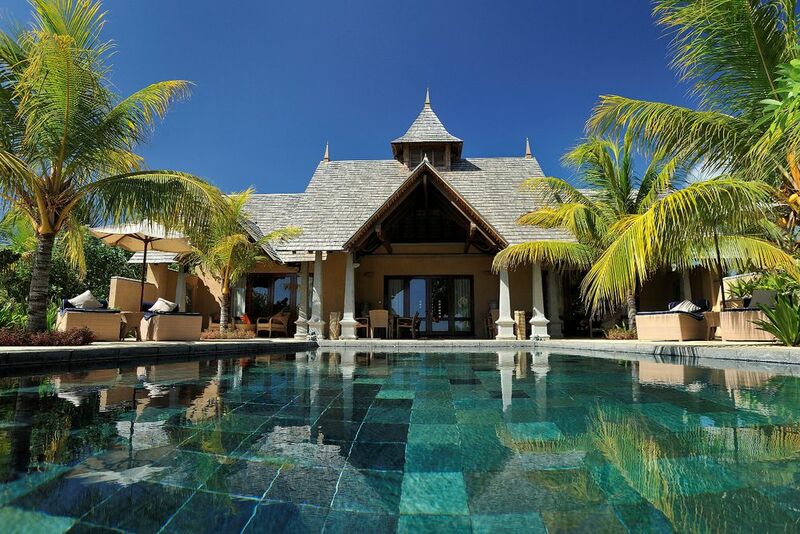 The small family owned hotel’s uniqueness lies in its rich authentic Mauritian heritage. 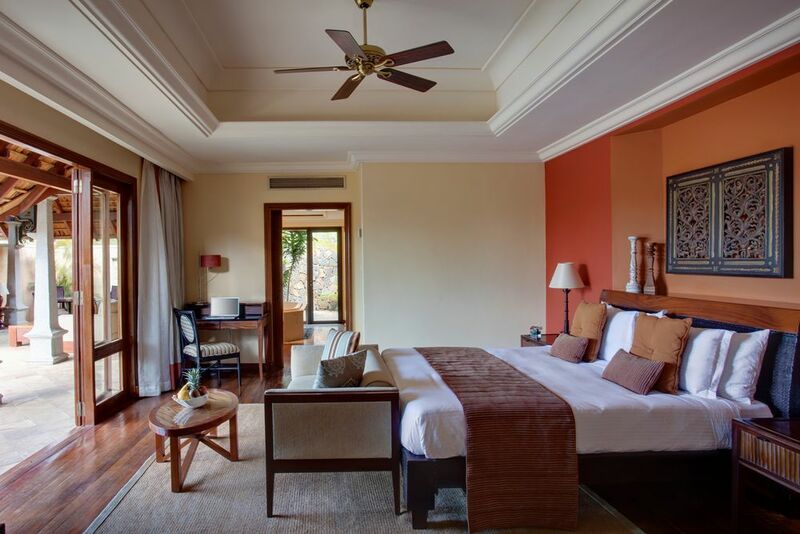 The sublime exclusivity of the interiors is inspired by the French colonial period and perfectly combined with Indian, African and Arabic styles. 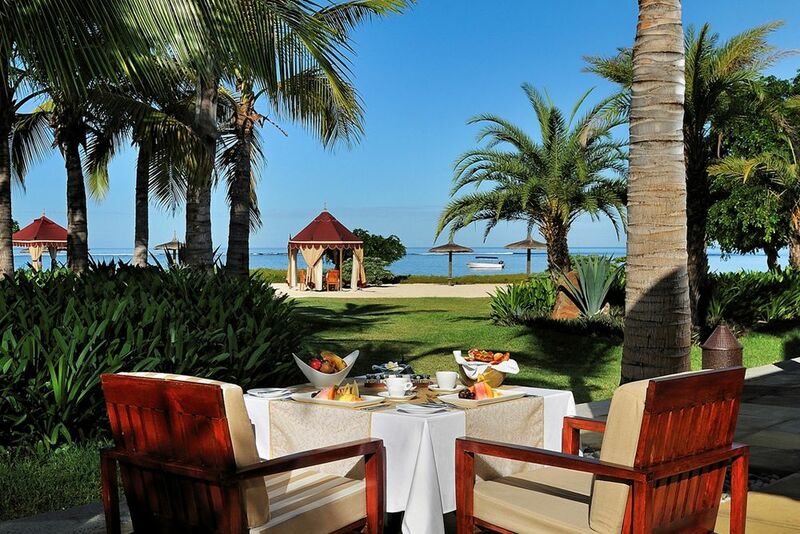 The legendary Mauritian hospitality is always dedicated to the well-being of the guests for the most unique stay on the island! 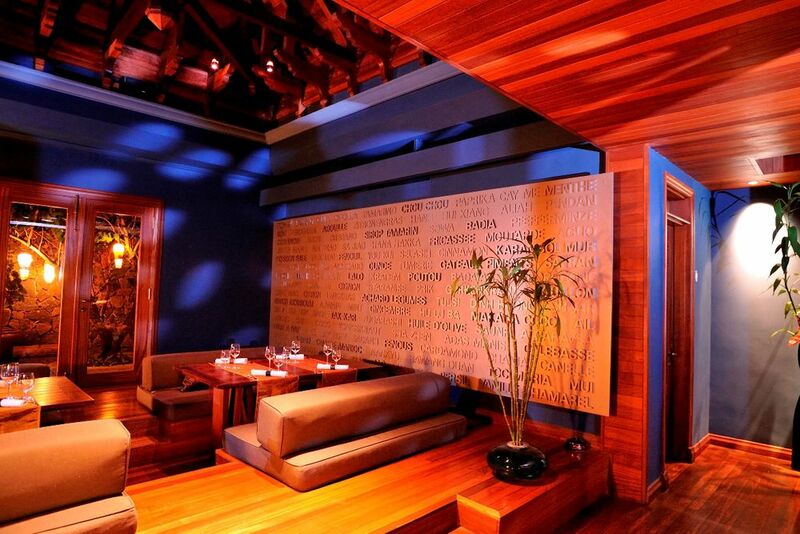 In a relaxed atmosphere, enjoy delicious Indian and international cuisine. The open terrace of the main restaurant, Coast2Coast, is the perfect place for Mediterranean, Mauritian or international meal for the day or evening. 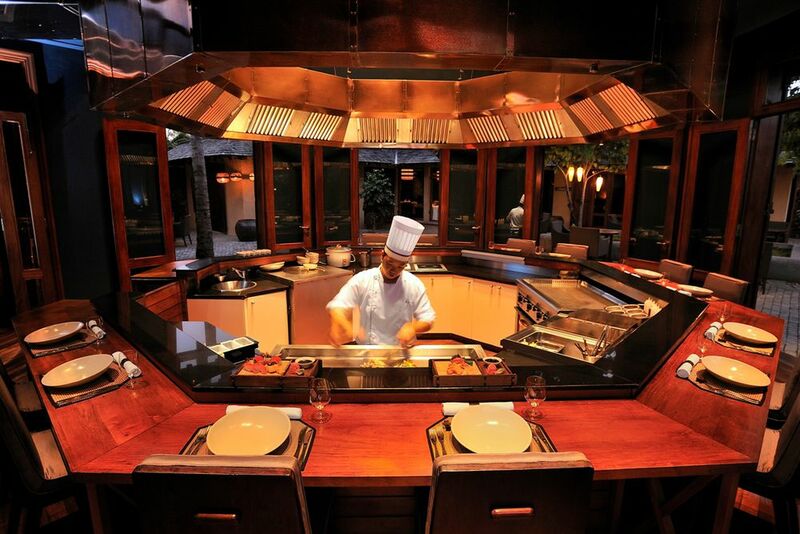 For dinner, the exclusive restaurant Cilantro serves pan-Asian and Indian delicacies, impressing all taste buds! 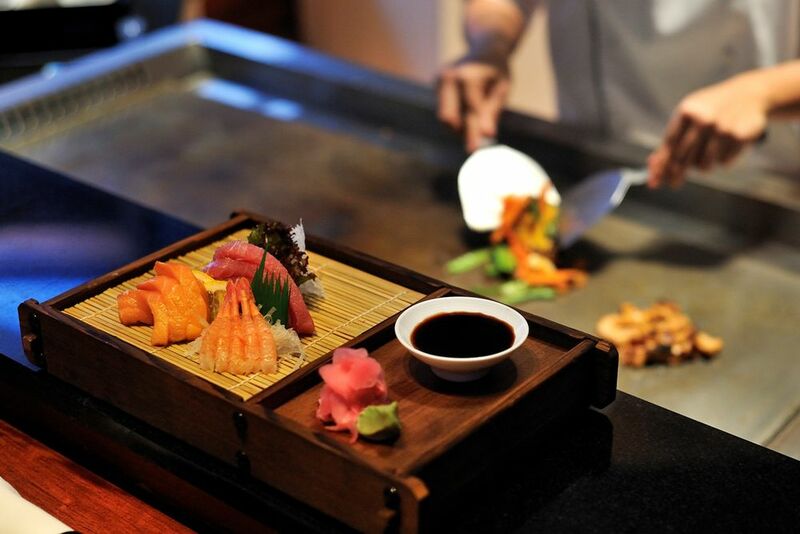 In addition, the restaurant features a teppanyaki station, Teppanyaki Counter, that creates Japanese, Thai and Chinese specialties. For light meals and a wide selection of wines and spirits, Breakers Bar is open from morning until evening for all desires. Paying close attention to detail, the 65 villas at Maradiva Villas Resort & Spa include exceptionally large outdoor living areas and direct access from the guests’ living/dining area to their private plunge pool and daybed. The spacious, luxurious villas offer a very large bathroom with an indoor and outdoor shower, walk-in closet, satellite TV, video and DVD player, music system, air conditioning, free Wi-Fi, tea/coffee making facilities, minibar and safe. 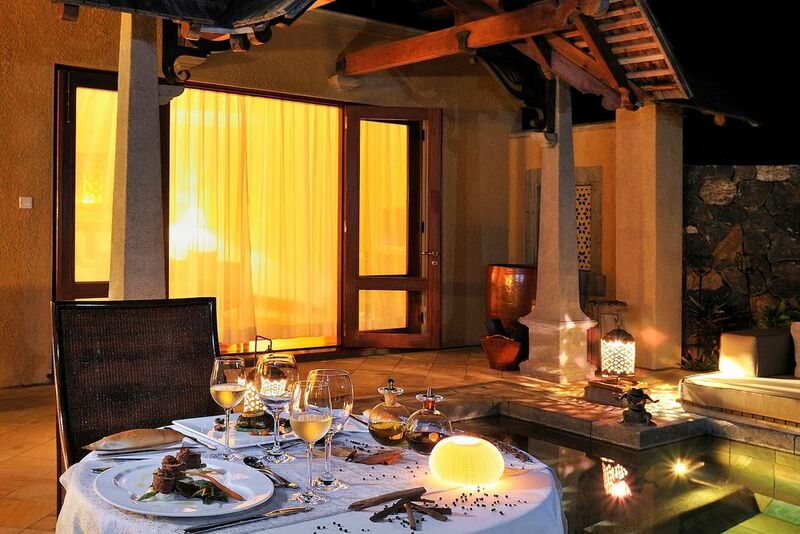 If desired, each villa is exclusively equipped with butler service to meet your every need. Garden Suite Villa with Pool (163 m²)— Surrounded by lush exotic gardens, these 5 villas are nestled in nature to create a sublime and enchanted environment. Maximum 3 adults, or 2 adults and 1 child up to 12 years old and 1 baby. Luxury Suite Villa with Pool (163 m²)— The 40 luxury suites are furnished similar to the garden suites and offer an intimate harmony and peaceful atmosphere for the most unique experience. Maximum 3 adults, or 2 adults and 1 child up to 12 years old and 1 baby. 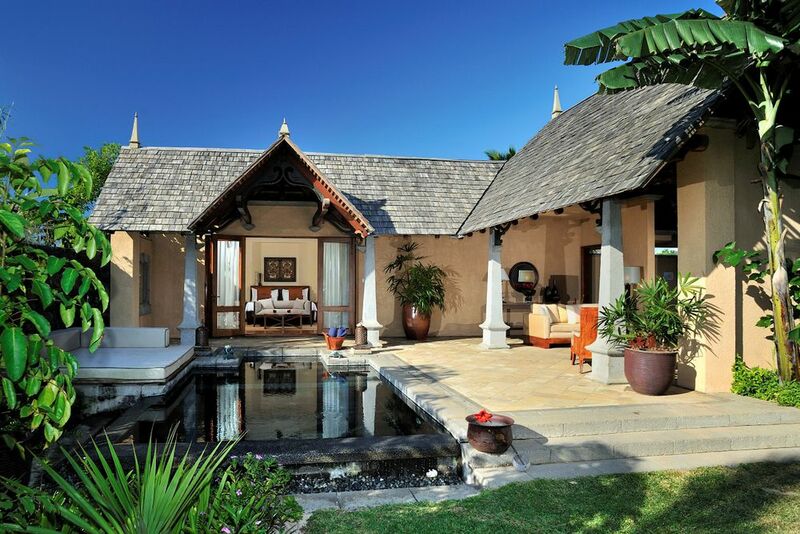 Beachfront Luxury Suite Villa with Pool (163 m²)— The 11 luxury suites are located directly on the beach and feature a private terrace overlooking the shimmering aquamarine waters of the Indian Ocean. Maximum 3 adults, or 2 adults and 1 child up to 12 years old and 1 baby. Exclusive Suite Villas with Pool (220 m²)— Similar to the beachfront villas, these 6 exclusive suites are more spacious with radiant ocean views and 24- hour butler service. Maximum 3 adults, or 2 adults and 1 child up to 12 years old and 1 baby. 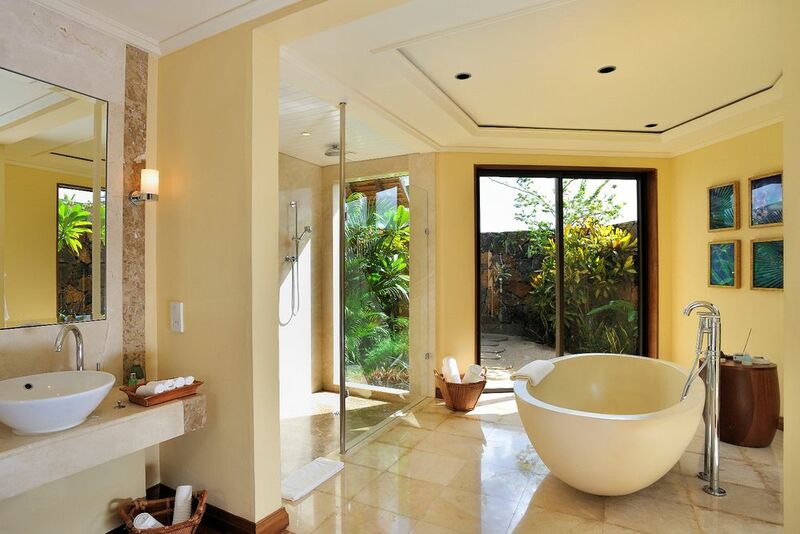 Presidential Suite Villa (345 m²)— These spacious villas provide a living space, 2 bedrooms (each having private bathrooms with a tub and rain shower) and a private garden with an outdoor shower. 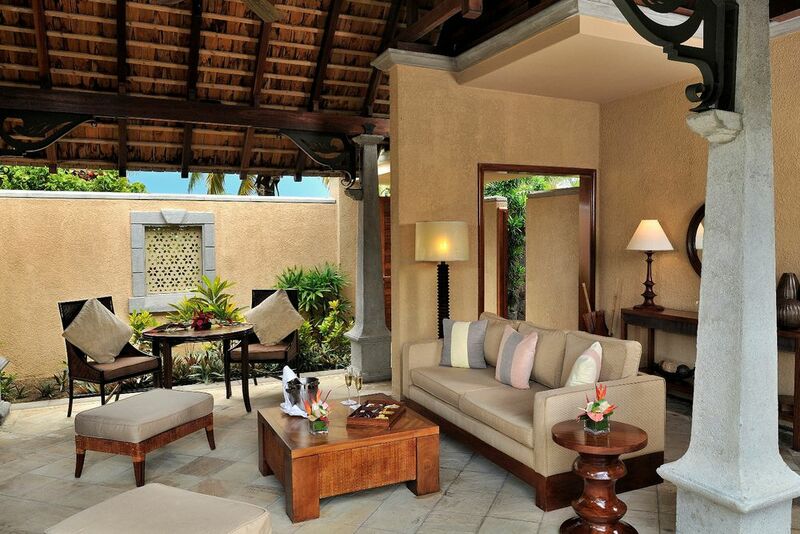 Enjoy the well-designed bar and kitchen, 54 m² private pool, and 24-hour butler service. Maximum of 5 adults, or 4 adults, 2 children up to 12 years old and 1 baby. 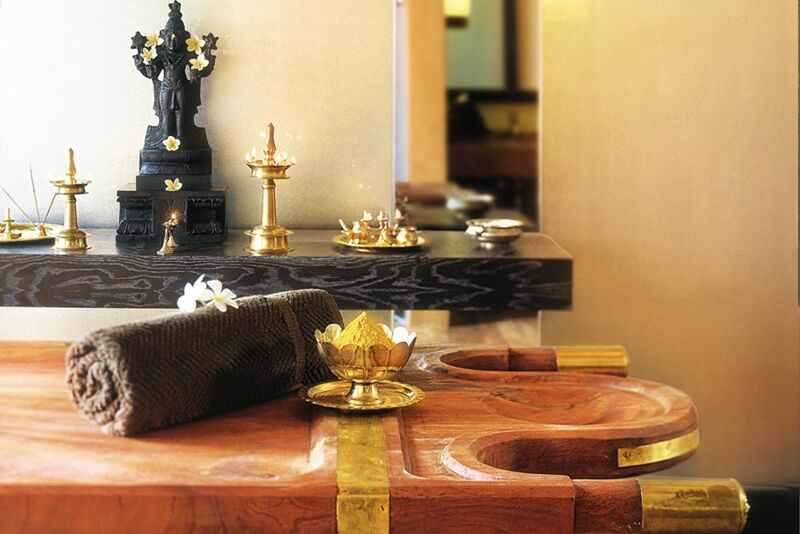 In Maradiva Spa, exclusive Ayurvedic treatments are specially designed for you to enjoy. An Indian Ayurveda therapist will gladly meet with each guest and create a complete treatment plan suited to their individual needs. The wellness portfolio also includes a pool with Jacuzzi, sauna, yoga pavilion, aromatherapy and massages for all senses. Wish to continue your sport routines during your holiday? Visit the spacious fitness center with the latest equipment, such as cardio, weight training devices and water aerobics. Try an array of different outdoor activities that are included with your stay at Maradiva! These include snorkeling in the crystal-clear waters of the lagoon, water skiing, catamaran excursion on the “Hobie Cat,” sailing, pedal boats, kayaks, and windsurfing. For a fee, you can also choose more adventures to experience. Try deep sea fishing, swimming with dolphins, scuba diving, catamaran trips and sunset tours, tennis training or fitness training with a personal trainer and horseback riding. Experience the unique 18-hole golf course that is only a 15-minute drive away. The Casale National Park is also nearby to experience fantastic hikes and explorations!